I would be the biggest liar if I did not say that my heart is hurting right now. My best friend was admitted to the hospital today. They actually wanted to admit him yesterday, but he refused. In the last few days Tyler has not been able to eat or drink. His pain has been overwhelming and out of control. The lymphoma has spread. I don't want to share or focus on the details. Today we had another appointment. He was barely walking. For the first time ever, I had to get the wheelchair to get him out of the car. I pushed him down the hallway. I thought, this is the man that I love more than words. This is the man that I built a family with. This is the man that I adore and want a miracle to happen to save him. I tried to hold back the tears as I pushed him down the hall at Huntsmen. I had tears in my eyes and saw that people were staring. I am so thankful that he choose me. That we made a covenant to each other for all time and eternity as husband and wife. We promised to always be there for each other. I feel God is blessing me to be able to help Ty. I know that God is mindful of each of us and our needs. I am so grateful that I have had his love and companionship. 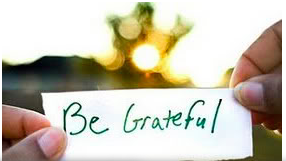 I will be grateful for each day (the good and the bad). Yes, Ty has made me a better me. DON'T TAKE ONE SINGLE DAY FOR GRANTED. DON'T LET A DAY GO BY WITHOUT TELLING YOUR LOVED ONES HOW MUCH YOU LOVE THEM. All I can do now is tell Ty how much I love him. THIS is all that matters. Now it is moment by moment. I cherish every I love you. I cherish holding his hand. Right now, I am truly just focusing all my attention and time to my husband and children. I hated leaving him at the hospital tonight. They reassured me that he would be sleeping and they will get him hydrated and the pain levels under control. feel them. My thoughts are always with my children. I know that each of them are struggling but trying to be strong for me. We spend a lot of time laughing and crying because it HAPPENED. We are GRATEFUL. My heart goes out to you and your family! Continue to enjoy every moment. I learned very recently that they are gone all too soon. Sending you strength. I've prayed for your family for a long time, but I'm saying a special prayer today! Oh Teresa, I feel your pain. I lost my husband 16 years ago and not a day goes by that I don't wish for his return. But I found comfort in the children I had with him and concentrated on raising them as they were so young. I pray for you and Ty. I pray for his full recovery and long life. He is a warrior. I am so sorry. You and Ty have incredible strength. Praying for you. We're thinking and praying for you. Hugs go out to you and your family. Hope strong, T.
Sending my love and prayers to you and your family. I know that I am a complete stranger to you, but I just felt I had to comment on your recent blog post. You, Ty and your entire family are in my prayers. I just want you to know that your words inspire me to be a better person. In the midst of all you are handling, you are graceful, loving and truly amazing. You remind me that we all have so much to be grateful for. You are surrounded by love and prayer ...I'm glad you can feel it. Oh dear girl, my heart hurts for you. Sending hugs and healing prayers. I can't imagine what you are going through. You and your family are in my prayers. Sending you love and peace as it wraps around you and your precious family. Just a huge Huge to you and your family. Prayers are still coming your way! will make it through. You have had a long struggle but hang in there girl! You can do it. No words to say other than I am so sorry for what you are going through. Thank you for sharing your hear and your journey. My family has walked a similar path with cancer and it is heartbreaking. My thoughts and prayers surround you, Ty and your entire family. May God graciously provide all that you need. I will continue to pray for a miracle for your family. Thank you for sharing this. We all need a reminder. Thank-you for sharing your story and reminding us to be grateful. Just know you and your family are in lots of people thoughts. Teresa,Ty and family please know that I pray for you all everyday. My mom is battling stage 4 lung cancer that has now spread to her brain and every single time I am with her I talk about what your family is going through and we pray together for each of you. All my love and prayers are with you-follow your heart dear girl and always believe in miracles. Praying for a continued miracle, much strength and love. I am praying for Ty, for you and your family. You and your family are in my thoughts often. I will pray for you and your family. 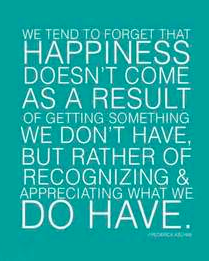 I do agree that you need to be thankful everyday for what/who you have in your life. Hugs to you! I wish I could do more than pray but it is the only thing I can do for you and your family at this time. God is listening and He hears our cries and prayers for you. Just know you are always in my thoughts and I pray for you each time I think of you. God please watch over the Collins family especially Ty. May they feel you with them always through this journey. I am praying for your miracle. I have been where you are now so I do feel your pain. My husband fought brain cancer for almost 6 years and he was like your Ty, more concerned for me than for himself. We had 40 beautiful years together before losing him on 11/24/11. I can tell you to cherish every precious second and make as many loving memories as you can with your love and your children. God bless you all. I have to agree with jcobb - cherish every precious second - which it sounds like you have always done. You are such an inspiration to me and I am sure many others. I would be a mess in your situation. But you instead, find all of the positive and gratitude in everything around you. And also you share your inner most thoughts of honesty. You really have given me a lot to think about and giving me the ambition to look at my glass as being full, rather than somewhat empty. You are Ty, as well as your beautiful family are all in my thoughts. Praying for you. Thankful that Heavenly Father has provided you with strength, love and hope. I know that your peace and love will continue on. In faith and prayer... hugs to you all. I so admire your strength (yes you have it) and faith. Continued prayers to the entire family. I am posting anonymous because typepad won't let me in. This is Pat Cloud and I want to say that I am praying for your enitre family. Praying for peace and comfort knowing that God will do His will in your lives. He will give you the strength to go on. Tereasa, I am so heartbroken reading This. If there was way that I can give my health to Ty and make him well, I would! I work in the health field and will never understand this horrible disease that so many have fought or is fighting. Just be strong and thnk positive. We've never met but I follow your blog and works. I love all the beautiful things you design to help us preserve our memories. You've inspired me to take more photos and cherished every moments. Thank you!! Thinking of you and your family everyday.